Spring is finally here (sort of). And that means the great clothing change-up. But when I brought out all the spring clothes and put away the winter clothes, what was missing? 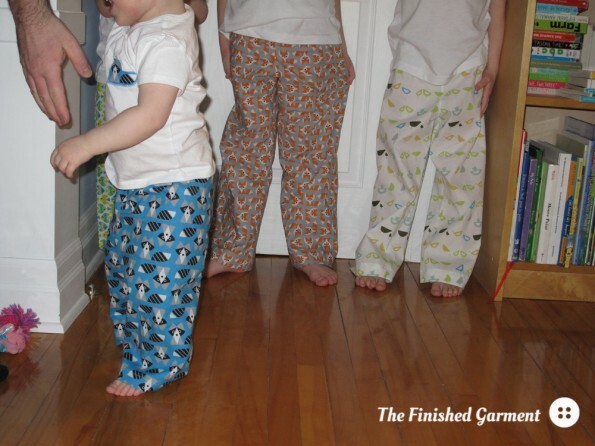 Spring pyjamas. 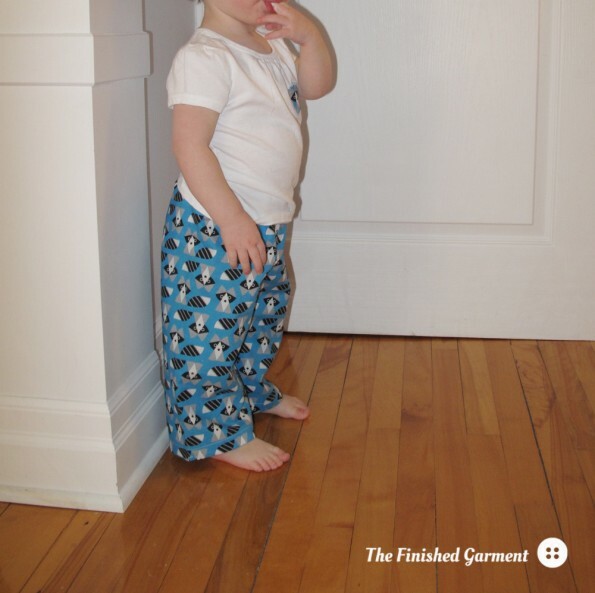 Pyjamas in all the sizes! This time I let the kids do the fabric shopping (sadly, I still had to do the paying). 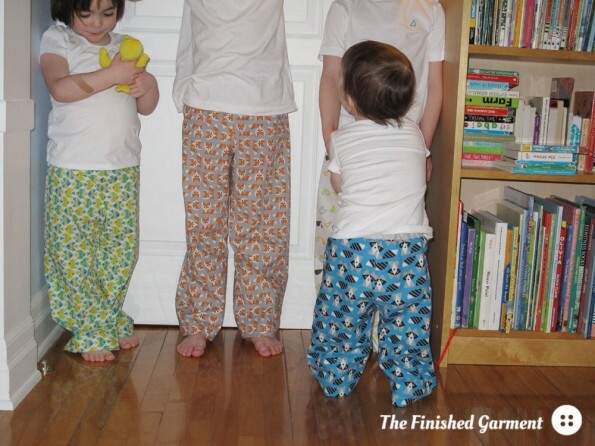 And they picked some great prints! So cute. The girls all chose prints from the Picture Pie collection by Ed Emberley for Cloud9. And my little boy chose Little Birds from the Havana collection by Monaluna. Cute, cute, cute. 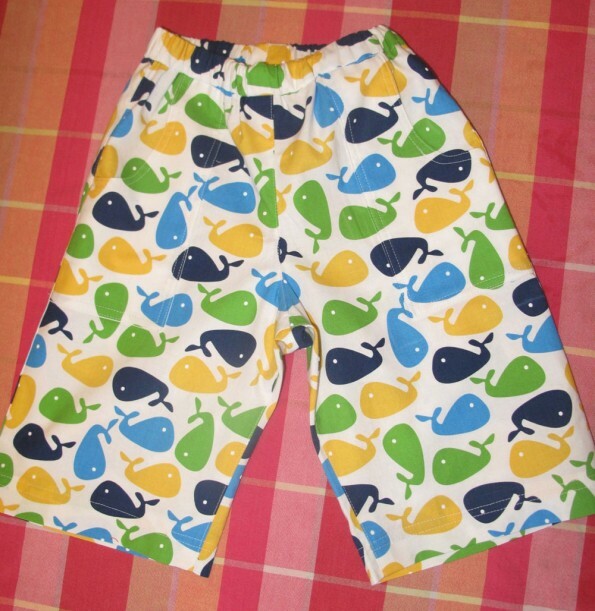 These are a size 4, in fish. 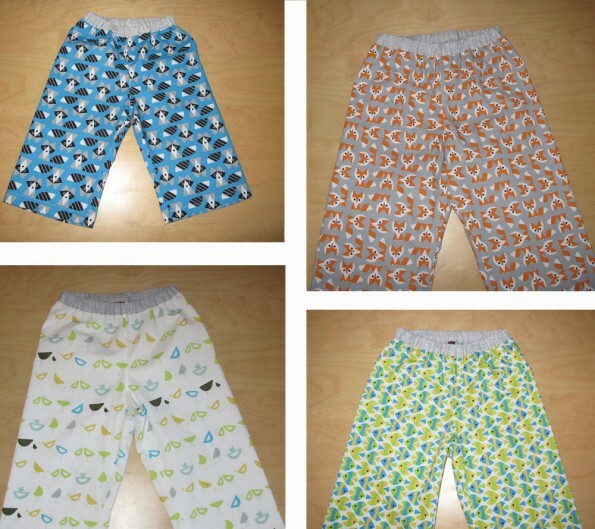 Size 18-24 m, in raccoons. 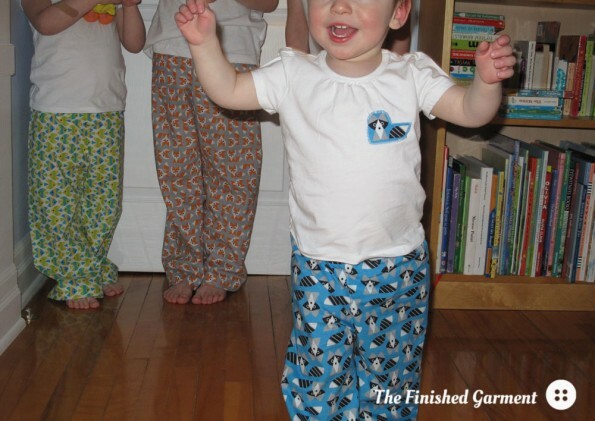 I used the Bedtime Story Pajamas sewing pattern by Oliver + S, for the bottoms, and appliquéd an animal from each print onto store-bought t-shirts for the tops. I’ve made these pants seven (!) times before, so obviously, it’s a great pattern. I hardly even need to say it do I? 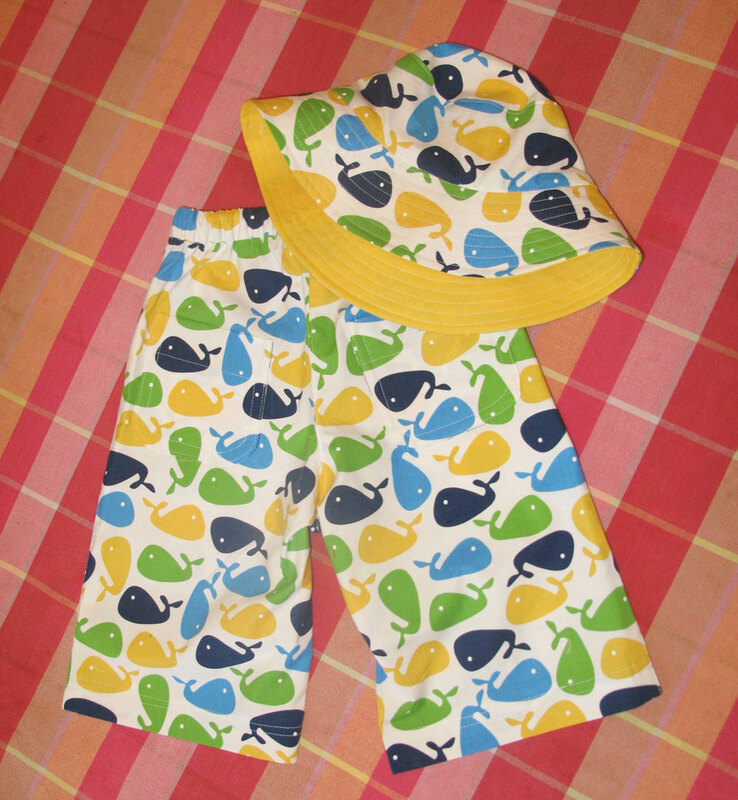 But as always with Oliver + S, the instructions are super clear and the sewing is a breeze, and this would be a great project for beginners. 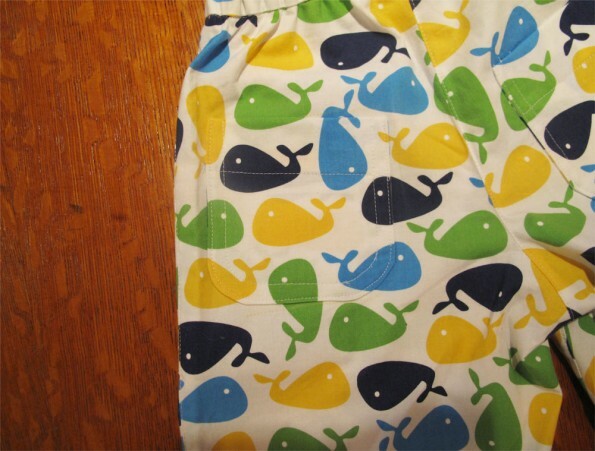 Good thing these are so quick to sew! The photo session, however, was an exercise in frustration? comedy? Four little kids at bedtime are hard to wrangle sometimes. The first signs of trouble. Get back in that photo! 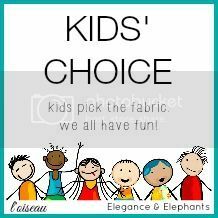 This post is part of the Kids’ Choice sew along organized by Elegance & Elephants. Picture Pie in Raccoon, Fox and Fish by Ed Emberley for Cloud9 (organic). Little Birds in Blue from the Havana collection by Monaluna (organic). 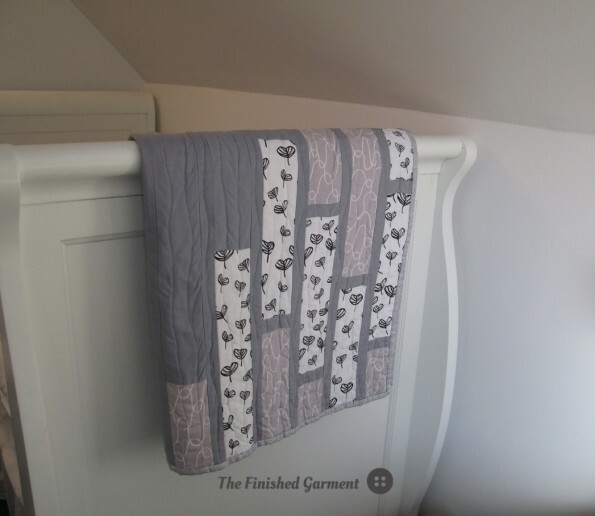 Sketch in Grey by Timeless Treasures for the waistbands. Modifications: I lengthened the pant leg and folded twice to hem, instead of binding the leg hem. Results: Excellent! I’ve made these 7 times before. I would highly recommend this pattern. 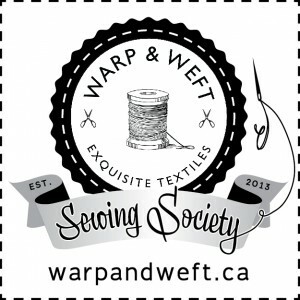 I know I’ve mentioned that I’m part of the Warp & Weft Sewing Society before, but this spring Esmari, the owner of Warp & Weft organized something really fun for us – a sewing challenge. And there’s something for one of you too, so don’t forget to enter the fabric giveaway at the end of this post. There are seven of us in the sewing society, and we each got six fat quarters from Lotta Jansdotter’s latest collections MorMor and Sylvia. 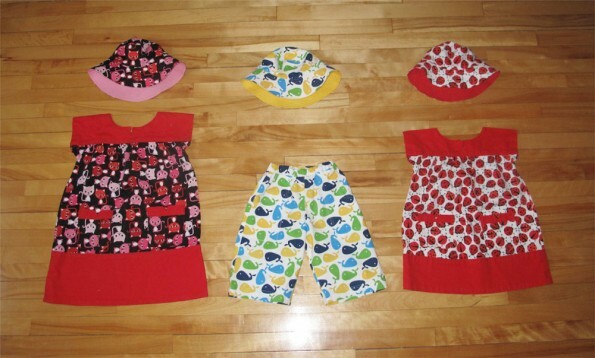 Then we had to sew something related to spring. Esmari has made a lovely, bright quilt. Sherri made some cute tote bags. Carla made a beautiful set of bags. And there are still three more days to go. Everyone got a different bundle and you can see what mine looked like below. The fabric is so pretty! And perfect for spring. Unfortunately, mother nature has been taking her time delivering spring, at least where I live. So I decided to do something a little different. Instead of sewing something that celebrates the joyous bursting forth of spring with flowers and vibrant colours, I created something that celebrates the moment before – the time where spring appears to be still on it’s way. There are no visible signs of spring – yet! – but everything is slowly building underground. It’s the part of spring when you have to have faith – that spring will come, the flowers will bloom, the birds will return and the cycle of like repeat once more. 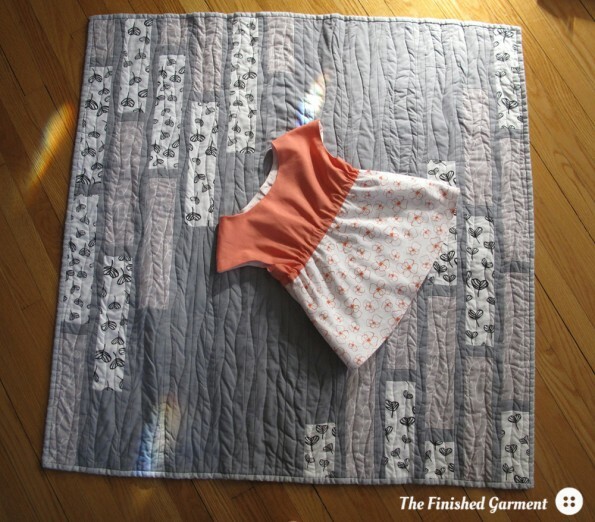 I made a baby quit, using just two fat quarters and a grey background. It’s a bit monochromatic for spring, but that’s what spring looks like here right now. 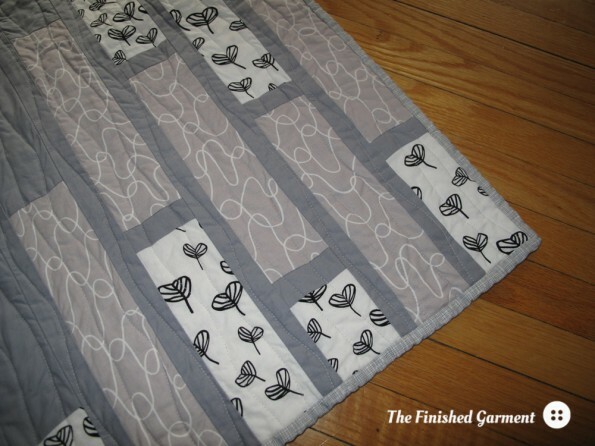 Front detail on the spring quilt. The backing is a bit random. The rectangles are supposed to look like garden patches. 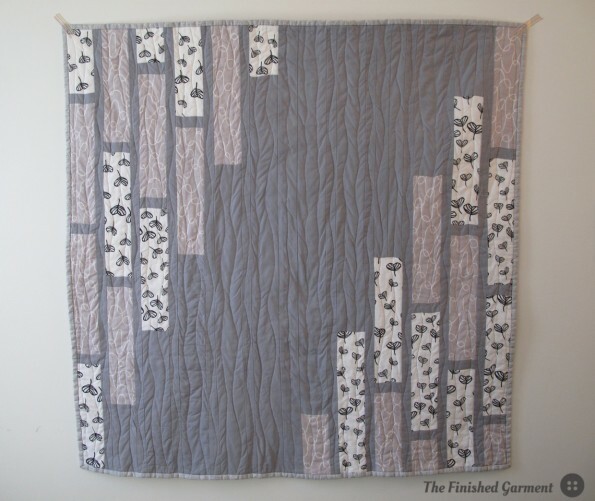 The wavy lines ended up making the quilt very crinkly – way more than I expected. So that left me with four fat quarters. 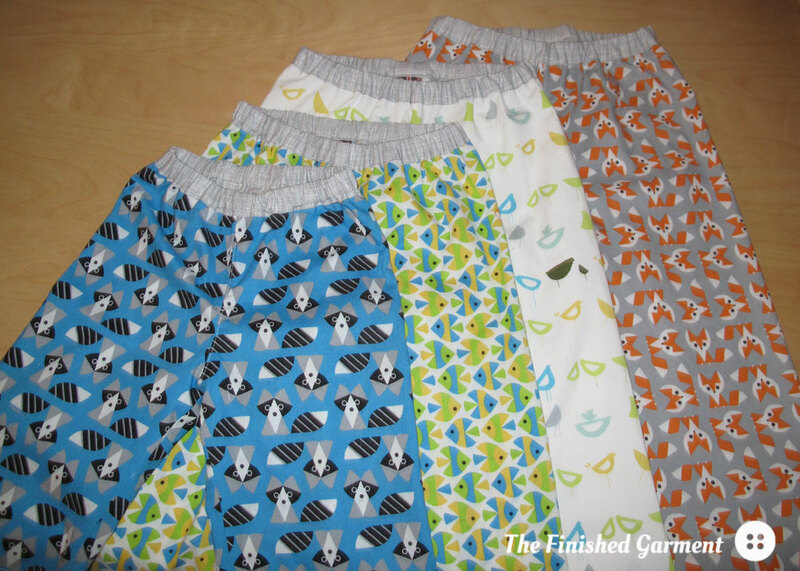 Actually that left me with three fat quarters, because I cut one up for the quilt and then changed my mind. We all make mistakes sometimes, right? 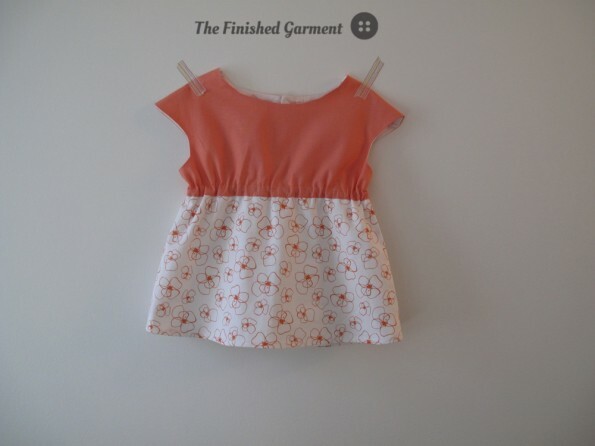 So I took the two coral fat quarters and made a tunic for my littlest. 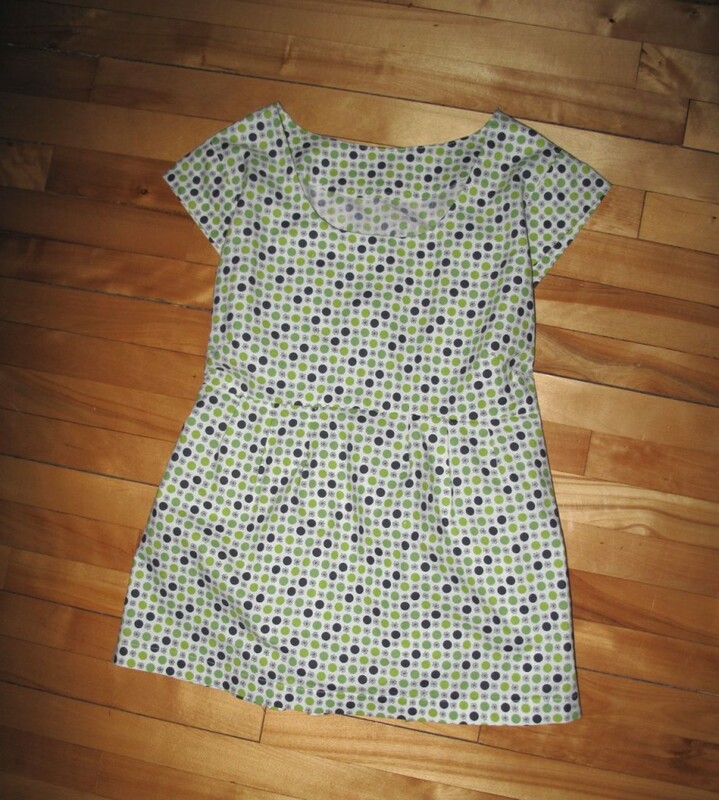 This is the Roller Skate Tunic by Oliver + S. It was a dream to sew. I think I finished the whole thing in just over two hours, including the cutting. 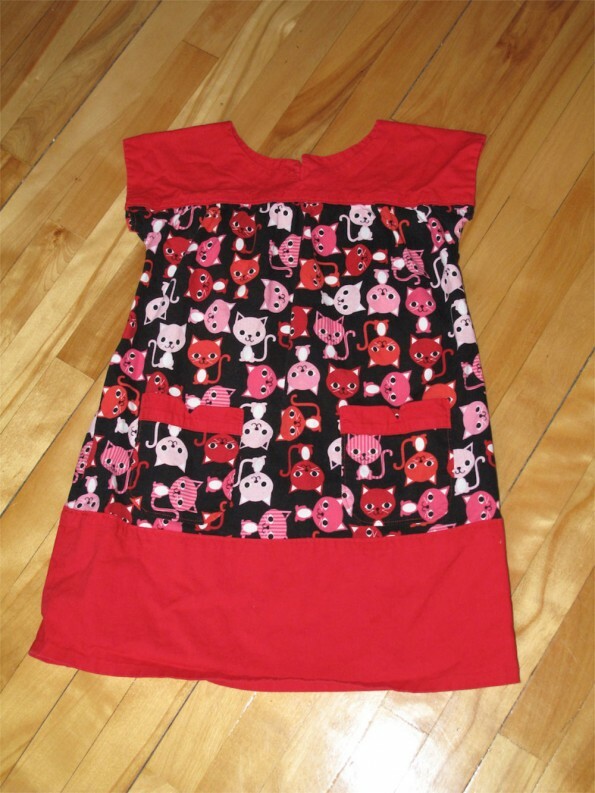 The Roller Skate Tunic – front. 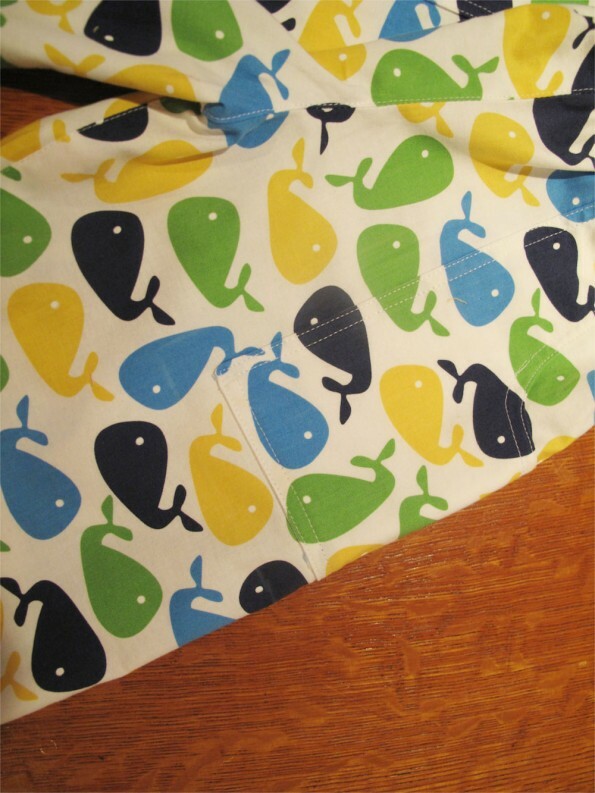 The Roller Skate Tunic – back. 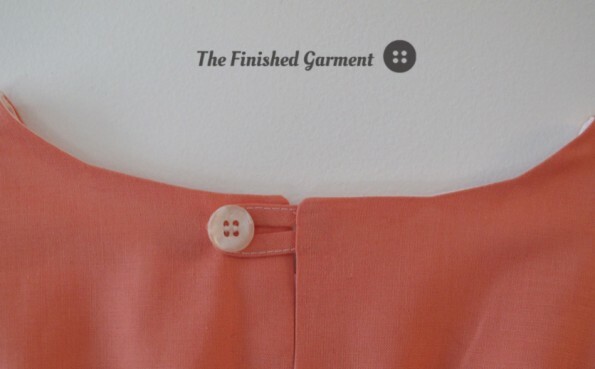 Button detail in the tunic back. Fabric: Trassel in Mist from the MorMor collection, and White sufi from the Sylvia collection, both by Lotta Jansdotter for Windham Fabrics. 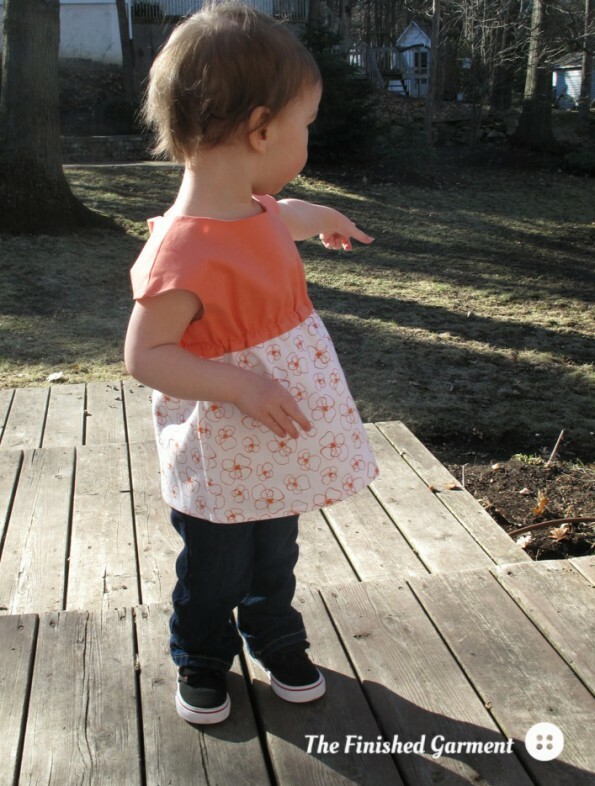 Pattern : Roller Skate Dress and Tunic by Oliver + S.
Fabric: Little Blomster in coral, and solid coral from the MorMor collection by Lotta Jansdotter for Windham Fabrics. 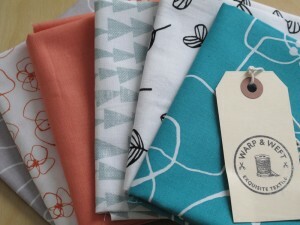 Enter to win 12 Fat Quaters from Lotta Jansdotter’s latest collection MorMor and Sylvia, generously provided by Warp & Weft. In order to enter this Giveaway please follow the Rafflecopter instructions and leave a comment on this post. You can obtain 7 entries in total by leaving a comment on each participating blogger’s Lotta Jansdotter Challenge post. The winner will be announced April 28. Good luck! 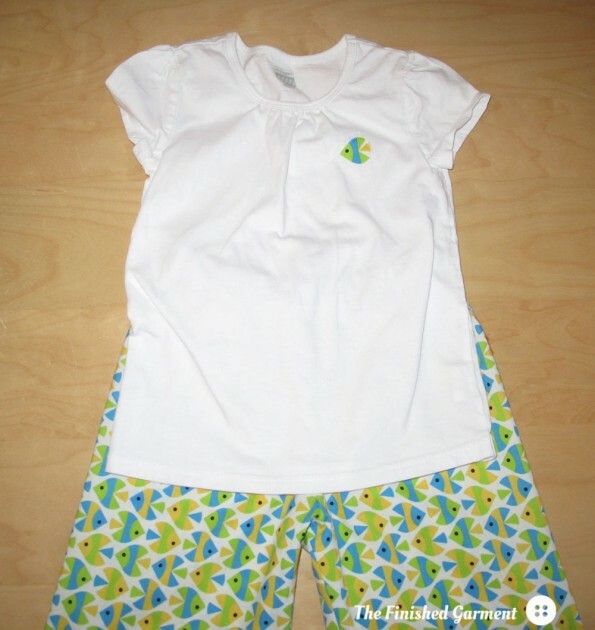 My Lotta Jansdotter challenge sewing. You’ve probably seen the Washi Dress from Made by Rae. So cute! 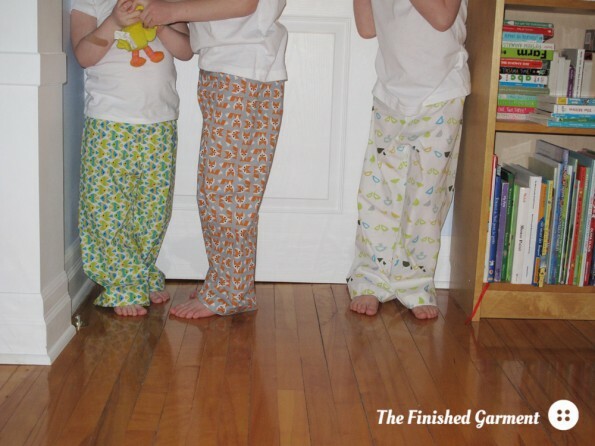 So easy to sew! 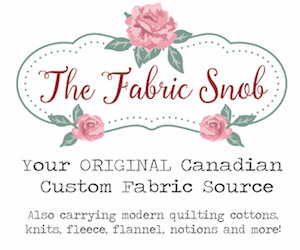 So beloved by bloggers and sewists. And, apparently, so unsuited to my figure. I’d seen the dress and tunic on so many blogs, always with great results. Now I noticed that many of the Washi’s I saw were being worn by people who were taller and less curvy than me. Then a couple of photos showed up in the flickr pool that looked a little more like me, so I had hope! Maybe I too could wear the fabled Washi. I bought the pattern. 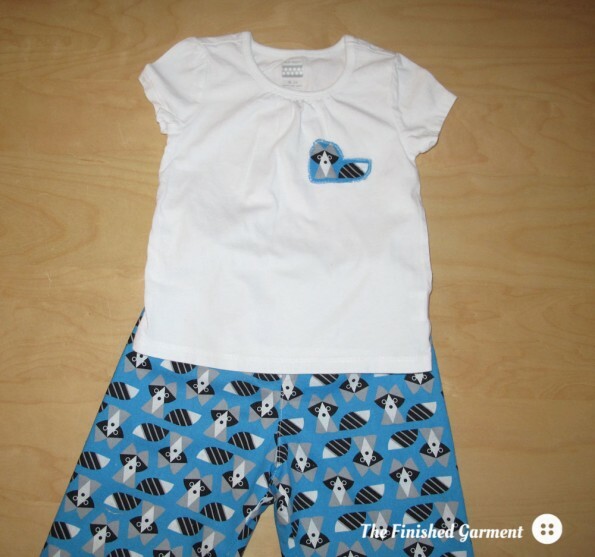 The printed pattern is great. I love that the pattern sizes are each printed in a separate colour. Genius! Why doesn’t everyone do that? I love that each piece of paper is printed with a grid overlay along the sides of the paper. So easy to assemble! I liked the instructions, especially the part on making a muslin. So I dutifully got out some (hideously ugly) fabric from my stash, and made a muslin. And then I did a full bust adjustment (FBA) which I had figured I would have to do. I used the instructions for a FBA on Megan Nielsen’s website, which Made by Rae lists on their site and which are very clear. It still wasn’t working. I went down a size, redid my FBA and lowered the darts. And anyway…. five muslins later I had something I thought looked fairly decent, so I cut my fabric. There is only one thing in the printed pattern I would change: the way the bust darts are cut out before assembly. After just one muslin, it was clear that by basting and pressing the dart to start, you can get a much better fit, because you can adjust that seam. But if the fabric is already cut, and you need to fine-tune the dart, there’s nothing you can do. You are stuck with the dart placement, as is. The curvier you are, the more this matters. Assembling the tunic was a breeze. The instructions are great. The smocking with elastic thread was so easy! Everything came together so quickly. Sleeve detail on the Washi Tunic. It just didn’t fit, at least not as well as I’d like. Boo! I’m pretty sure it has more to do with my shape, than the pattern itself, since so many people have had such great luck with this pattern. I am extra curvy (and a breastfeeding mama as well) and I just had a baby six months ago. Can we say problem areas? I figured the pattern would be good for midsection coverage. 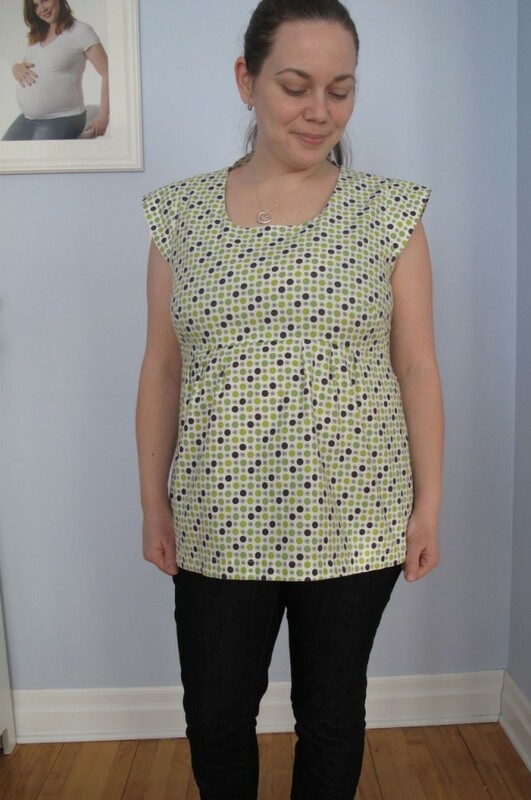 However, this pattern, like any empire waist look, requires an excellent fit in the bodice. I needed to do the FBA, make sure the darts were in the right place, and make sure that the seamline where the bodice joins the skirt fell at the very thinnest part of my ribcage. This last point is important for avoiding the pregnant look. My muslin did not include the skirt portion of the tunic, only the bodice. It was all a bit frustrating. 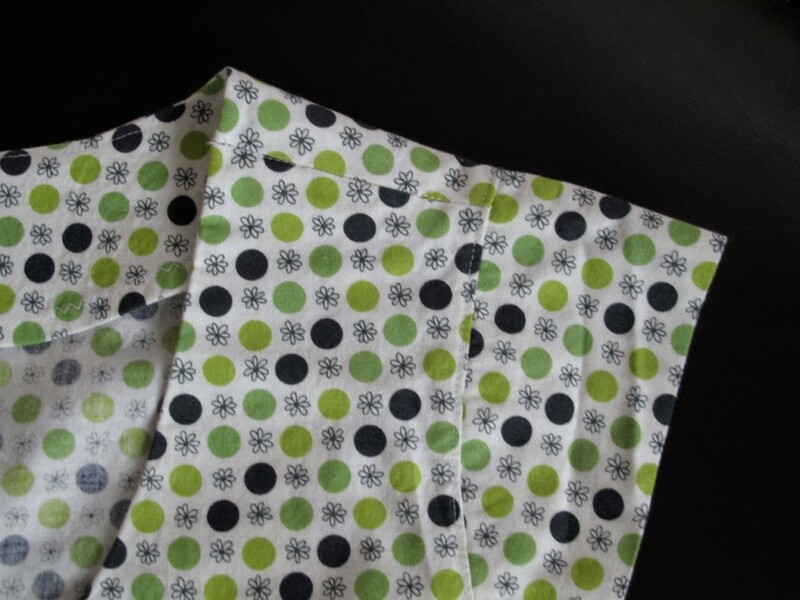 Side view of the Washi Tunic. In the end I had to take the tunic apart, and shorten the bodice a bit to get the skirt falling at the right place. It’s wearable, but could be better. The front view is good. The side view is only so-so. There is a bit of gaping at the neck. 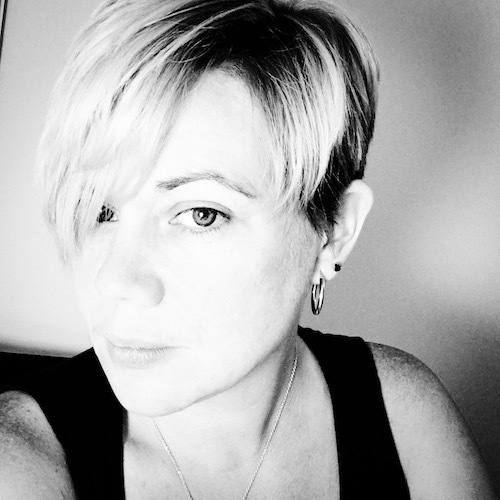 I think this tutorial on avoiding neck gape with a FBA from the Naked Seamstress would help. 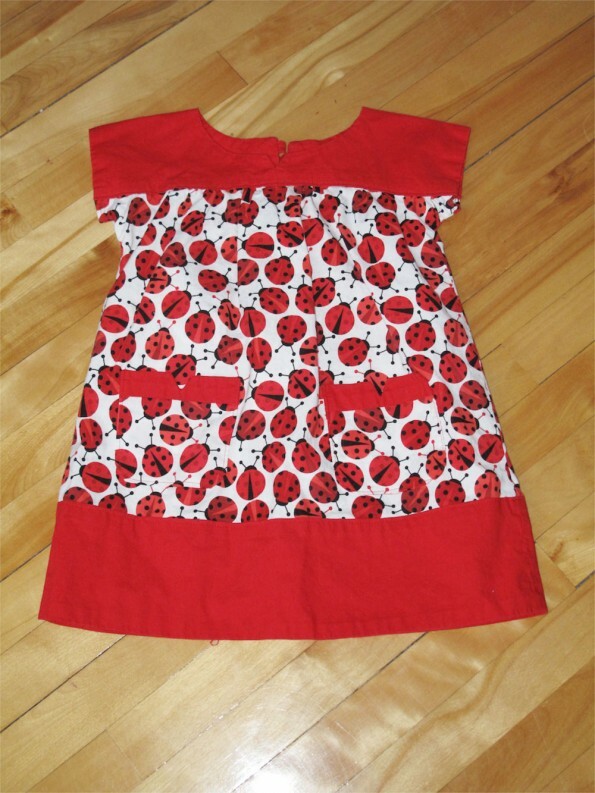 I would also add a couple tiny under bust darts, as suggested by the Queen of the Flies in her review of the Washi Dress. And there is still some pulling at the shoulders. Maybe I should go down a size? Hmmmm. Suggestions welcome. Me, looking at my Washi Tunic. Oh, and as a side note… if you disassemble your washi and abandon it in frustration for a couple of weeks (ahem), you may find that the elastic thread has worked its way out, so that you have to resew it. Entirely my fault of course. I also made a poor choice of fabric. 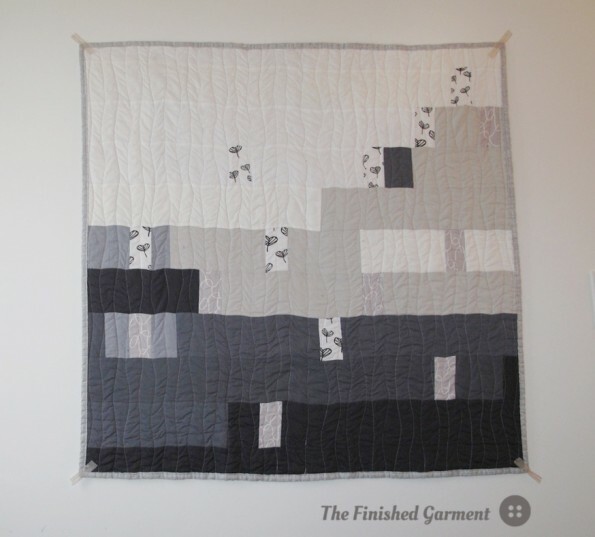 I used quilting cotton. It’s a bit, um, crunchy? Something with a lot more drape would have been a much better choice, especially with sleeves. 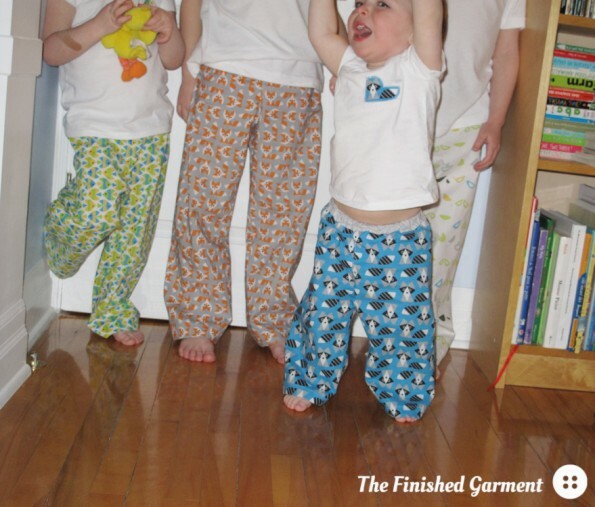 The pattern recommends “Light to medium weight cottons or cotton blends (e.g. 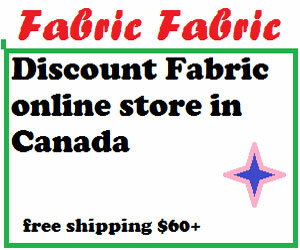 shirting, voile, double gauze, quilting cotton, poplin, or cotton/linen blends)”. Voile, lawn or batiste would have been better choices, at least for my figure. I also would probably have been better off with the dress, instead of the tunic. I suspect the weight of the extra fabric would make for a more flattering line. The garment would hang a bit more straight. Front of the Washi Tunic. Would I make it again? Yes. The hard part is over. 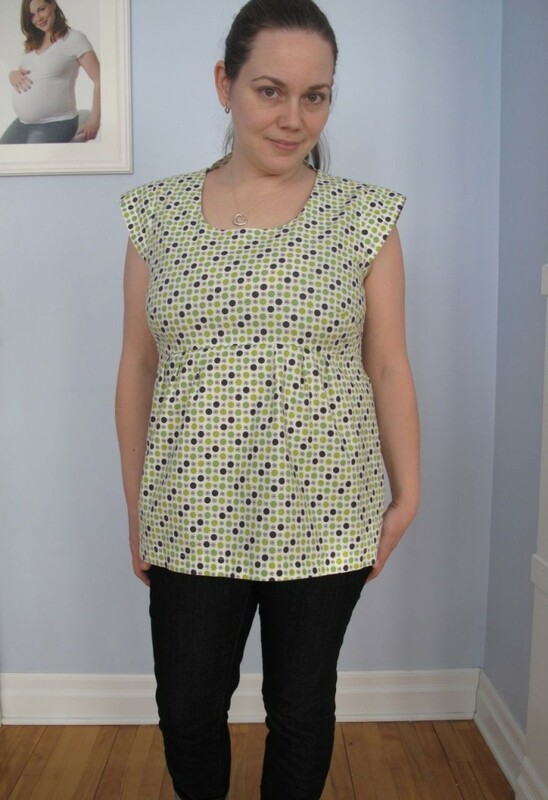 Now that I know how to get a good fit, and what fabric to use, I’d like to try this again. 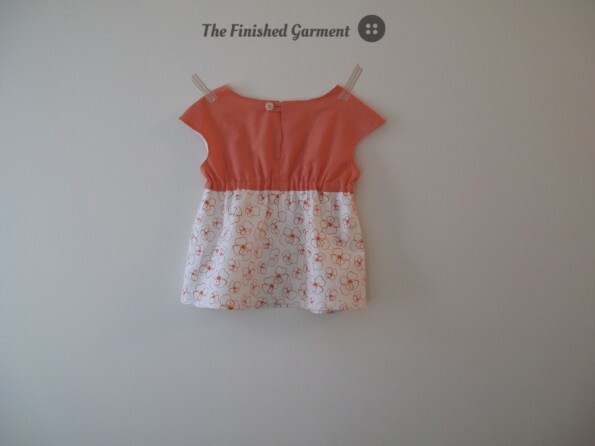 I would also prefer to line the bodice and there are instructions for lining a Washi bodice on the Made by Rae website. (Even though I attached the facing at the side seams, I find the facing pops out sometimes, which is annoying.) It’s such a cute pattern. Let’s call this a wearable muslin and move forward. Not a bad first try, but I think I can do better. 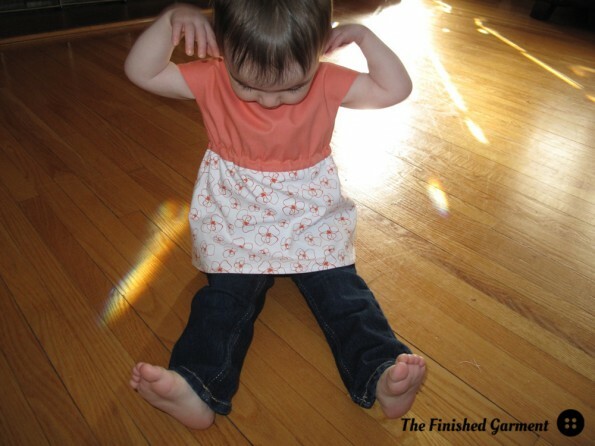 Pattern Review: the Washi Dress from Made by Rae (PDF). 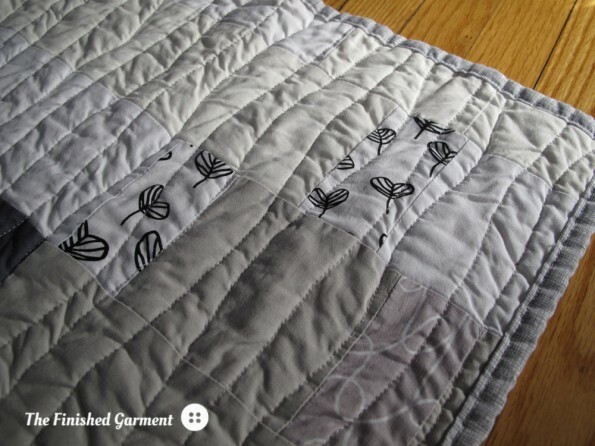 Fabric: quilting cotton. I made this in Flea Market Fancy Flower and Dot in Green by Denyse Schmidt from FreeSpirit. (I also used this fabric for my Christmas Rabbits). I did a 1″ FBA, lowered the darts by 1″ and lengthened the bodice by 1/2″. 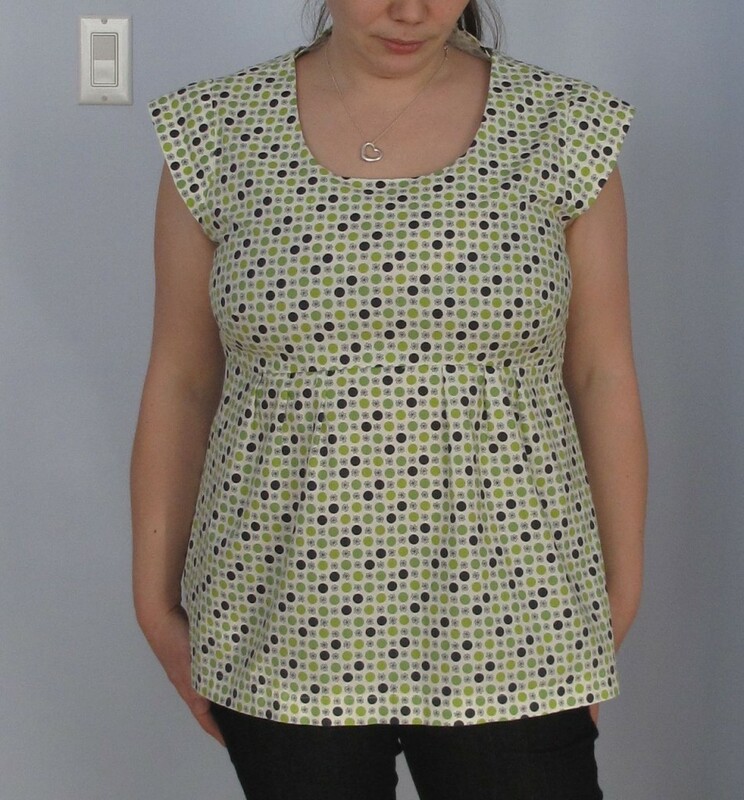 Results: Needs work, but I would still make this pattern again. Me in the Washi Tunic.